This weekend we’re putting the finishing touches on my spankin’ new website. I can’t wait for you to see it! The trailer for Calling Mr. Lonely Hearts is delightfully terrifying–A.Beedle and his crew have outdone themselves once again. This time, though, I’m not going to gather the family ’round the computer for a viewing. Last year, poor Bengal was frightened for days after he saw the trailer for Isabella Moon. And I already scared him once in the past couple weeks when I started to play that 30-second scary story for him. 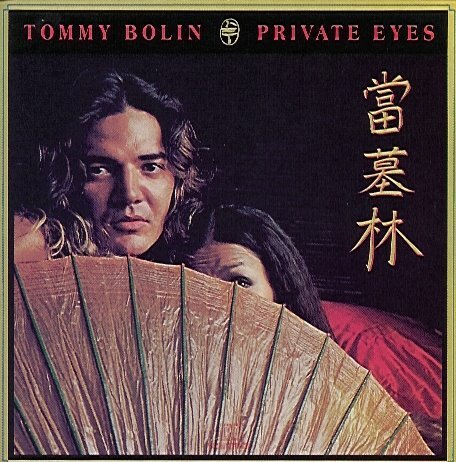 While I finished the copy for the site, I got re-acquainted with Tommy Bolin’s music. He died way back in 1976, well before I ever heard of him around 1980. His album Private Eyes is one of the most sensual albums I can recall hearing. (He kind of reminds me of Jim White.) I downloaded some acoustic versions of the songs from itunes today. I love that music no longer has an expiration date. Have you recently re-discovered any music from your past? Sunday’s guest blogger Kyle Minor had another great post Friday at Sarah Weinman’s site. It’s on literature and mystery. Check it out here. P.S. I got the magnets with the cover of Calling Mr. Lonely Hearts on them. If you pre-order the book, I’ll happily send you a couple! I cannot wait until the new book comes out, Laura! I’m super excited.